KIEV, Ukraine -- President Viktor Yanukovych isn't letting traffic on the way to the office get him down any more. He's rising above it. Literally. In the coming months, a helicopter will begin chauffeuring Yanukovych to the center of Kiev from his suburban residence and back. Yanukovych's chief of staff Serghiy Lyovochkin says the president is doing the capital a favor by unclogging the streets that he currently travels in his motorcade. Police close off entire avenues for that. 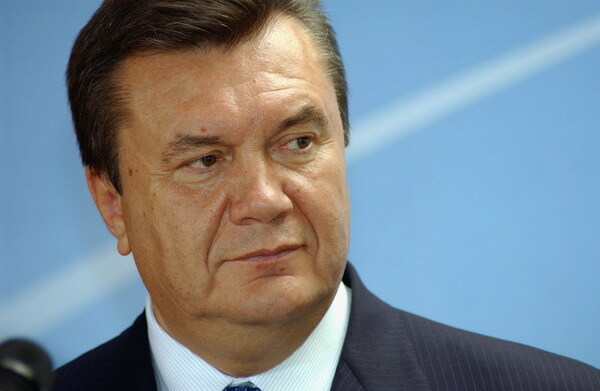 The move may anger ordinary Ukrainians who accuse the government of corruption and wasting state funds, especially if Prime Minister Mykola Azarov also gets a chopper, as Lyovochkin said might be the case. Lyovochkin refused to say how much the presidential helicopter would cost. UKRAINE TRAFFIC NOT AS IMPORTANT AS UKRAINE OPRESIDENT!!!! Despite reports about the President of Ukraine clogging traffic or using hellicopter I believe if he can sdave time and have more time to work in the administration is GOOD.! UKRAINE PEOPLE MUST REALIZE that he and his work is more important than KYIV traffic. As for the elections this week I would think that the! Ukraine president would not want to do anything negative.! The eletions will play out at the local and regional level as always..
GOOD LUCK to the candidates.. HERE ins the United States major elections fro congressmen senators and ther local officials. MAJOR CONCERN...Better educated voters--THAT is what will play the role in these electioions or illegal immigrants.! !